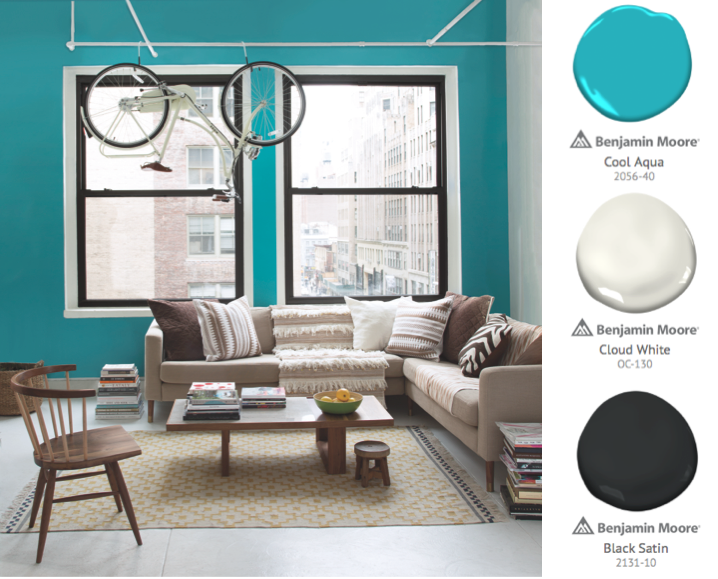 Inject some creativity and drama into your home with this seasons bold, saturated shades. 2017 is seeing a real shift towards brighter and bolder shades being used in our homes, so there is no better time to embrace your creativity and be confident with some pops of colour. Whether you want to combine bold patterns and colours or want to strike a balance with a bright accent alongside some paler shades, the possibilities are endless when it comes to adding impact to a space. 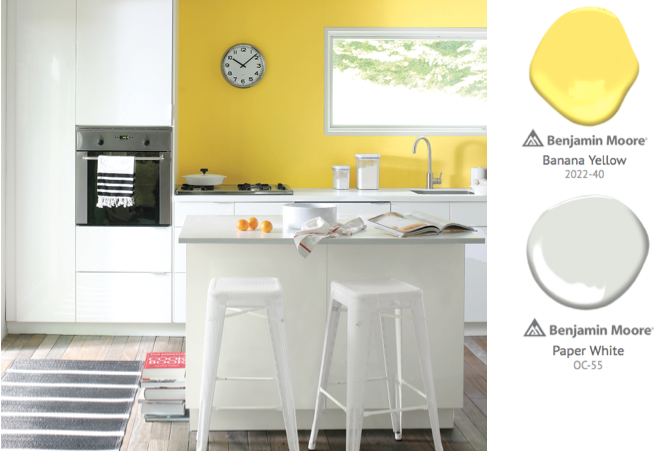 An all white high gloss kitchen gets a fun burst of colour with this clean and cheerful yellow shade. A neutral warm grey palette is complemented with a pop of a vibrant green in the accessories. Here, geometric patterns in the accessories are paired with a block of a strong aqua statement shade, punctuated around the windows with black and white. 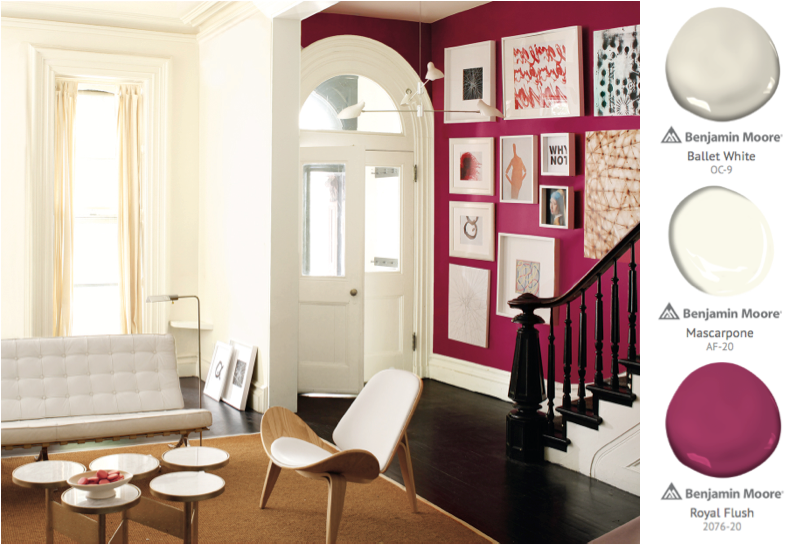 A vibrant pink is used to define the hallway space, while the living area is kept clean and fresh with warm whites. A statement piece of furniture such as this armoire can be used to introduce a spalsh of colour. Architectural features such as the window frame and architrave are highlighted in the same colour as the accent wall. For a stunning depth of colour and a finish that will withstand wear and tear, use Aura�. Aura combines two pieces of patented technology to deliver this phenomenal dark colour performance in a true matte finish. Firstly, Aura uses Colour Lock technology to encapsulate pigments within the paint, ensuring they are protected from fade and colour rub-off. 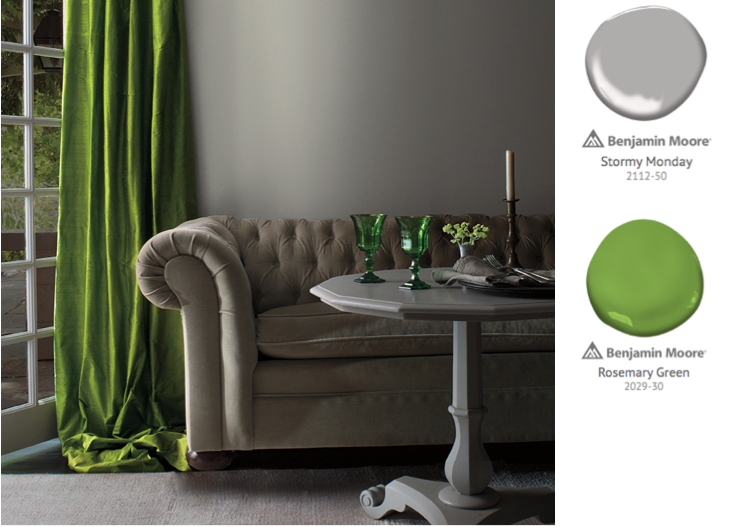 Secondly, our proprietary Gennex water-based colourant technology, which is at the heart of every Benjamin Moore product, ensures deep and saturated shades are not loaded with surfactants that cause the paint to be highly water sensitive and can cause poor hide. Click here to read product reviews about Aura. 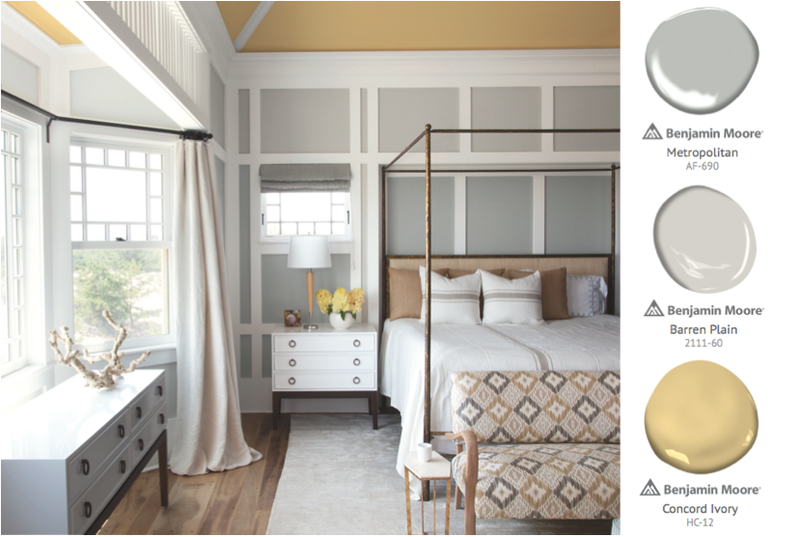 The panelling in this room is highlighted with two tones of greys, while the yellow in the geometric fabric is used as an accent on the vaulted ceiling. 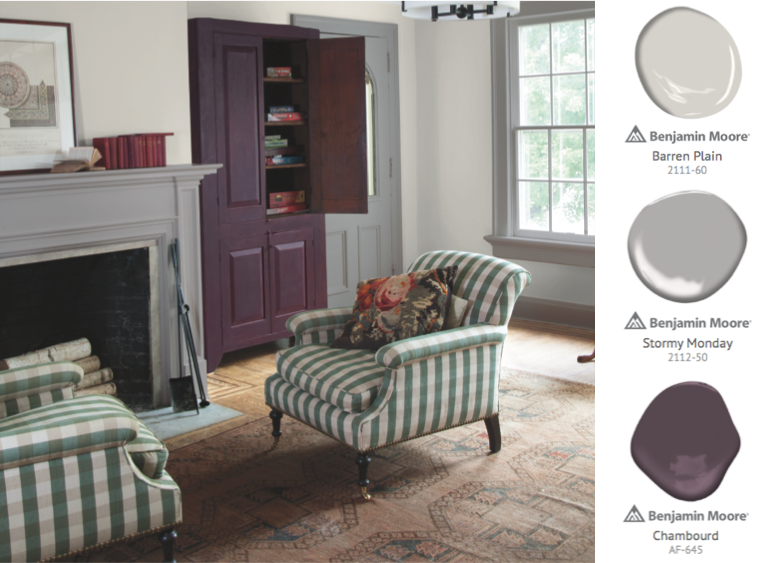 Delivering exceptionally richer and truer colour in over 3,500 shades, Benjamin Moore's palette offers you the freedom to find those perfect colours to really make your interior scheme stand out. 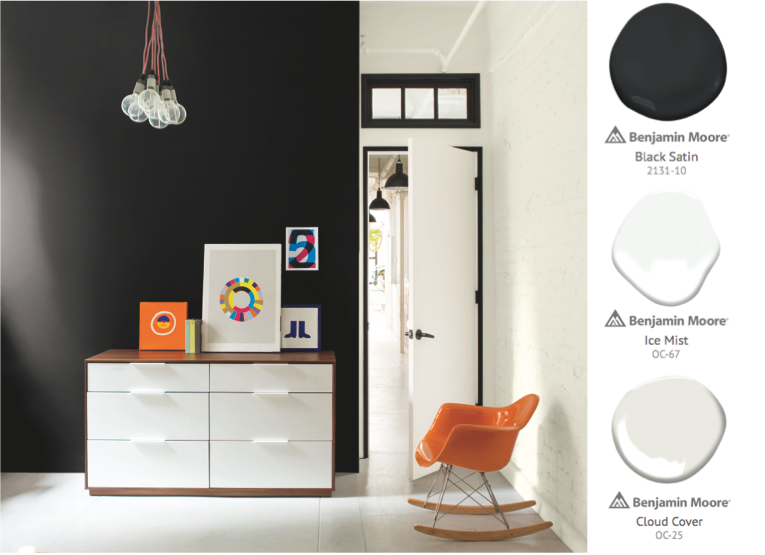 The intensity and depth of colour delivered by Benjamin Moore's patented pigment technology combined with the durability of our paints ensures that you achieve an outstanding finish and your scheme remains bright and bold for years to come. So go ahead and embrace your inner colour confidence and bring a splash of individuality and character to your home in 2017.